Start by installing and launching your favourite CAD/CAM app — we’ll use Carbide Create for this. Actually, no. Start by deciding the dimensions of the box, and determining what thickness(es) of material will be used. NEWB debating a purchase to learn CNC. What all should I buy? 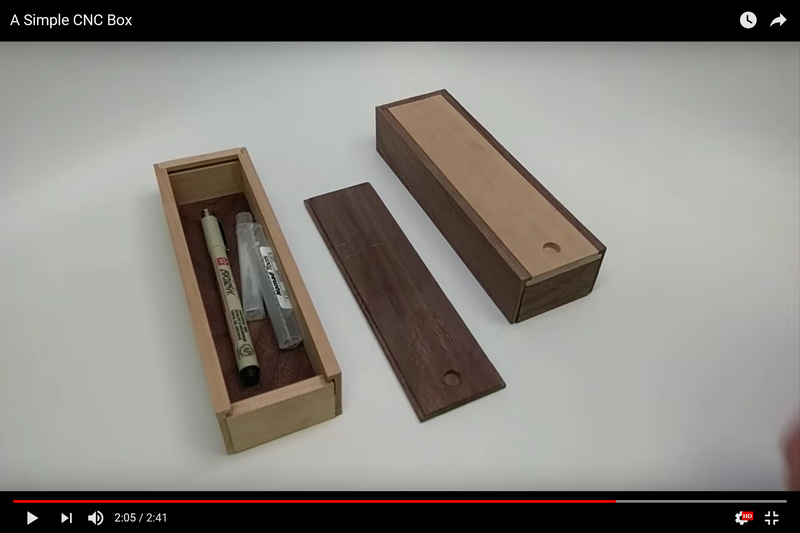 It is also necessary to determine the orientation of the box — this particular case is envisioned as standing up, or hanging on a wall, more as a shadow box. 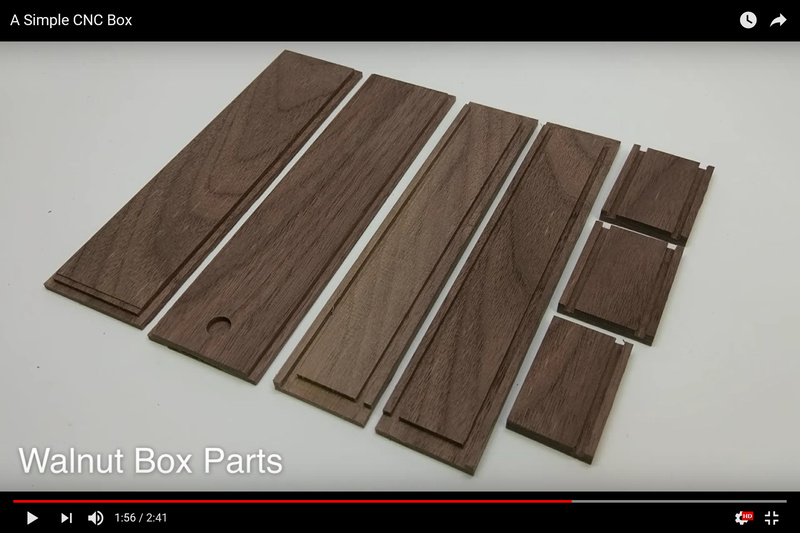 Begin by drawing in and positioning the dadoes for the front and back in the top, bottom, and sides — these will be cut with an 0.0625″ endmill and if done as pockets would need to be at least 10% wider — rounding up to 0.07″ would be one option, but is problematic in terms of positioning. An alternative is to draw in a line and cut as a follow path operation, trusting that the endmill will cut a bit wider than its nominal dimension due to runout and expecting the sheet good to probably be slightly undersize. For simplicity’s sake, we will do the latter. Repeat for the other rabbets on the top and bottom. @WillAdams Great write-up! It is really helpful to see the process, step-by-step. I would love to see more like this. Taking us “noobs” through the process, so we can learn is extremely helpful. Finished files are great, but the way you have done it helps immensely. We do things such as this on the support queue when asked — seems to help some folks get started on their own projects. 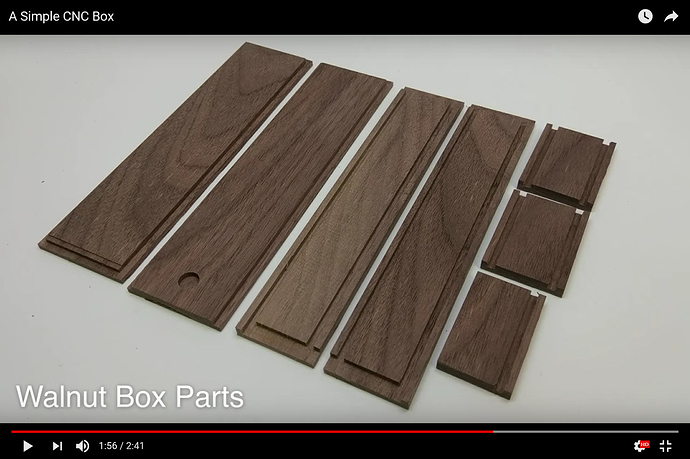 The visible portion of the bottom (from the underside of the box) will be 8.5″ × 6.375″ — the dadoes may be any depth up to the 0.25″ of the rabbet — the material thickness of 1/16″ is a bit shallow, so we double it to keep the math simple. A worthwhile improvement is to cut this dado with a ball-nosed endmill — this will result in a rounded bottom which will be stronger and less likely to break. It also makes adjust the fit by sanding the inset part easier. The dimensions of the back should be a bit less than that, adjusted as desired for using a ball-nosed endmill — simpler to use the 0.25″ for the part dimension and to increase the 1/8″ depth slightly. If we were using thicker materials for the front and back we would add geometry to cut rabbets to allow them to fit. Instead, they’ll simply slide into place. And at this point we’re essentially done. All that’s left to do is assign toolpaths. Here we will assume that folks will cut one part at a time — the way I do that is to assign all the toolpaths, save the file, duplicate the file once for each part w/ an appropriate name, then open each and delete everything which is not needed, then export G-Code. Please review / adjust / test feeds and speeds as necessary before outputting G-Code and actually cutting. Very nice write up. Bookmarked!